LA JOLLA, CA—Asthma is a chronic inflammatory disease driven by the interplay of genetics, environmental factors and a diverse cast of immune cells. 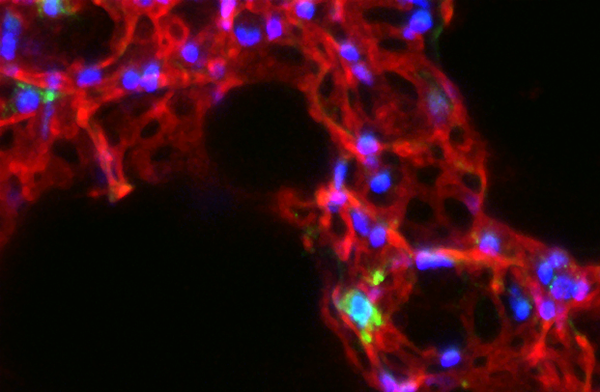 In their latest study, researchers at La Jolla Institute for Immunology (LJI) identified a subset of T cells, whose frequency serves as early childhood immune signature that predicts the risk of developing asthma later on. UM2AI117870. Additional support was provided by Grants 5T32AI007007, RR00052, M01RR00533, 1UL1RR025771, M01RR00071, 1UL1RR024156, 5UL1RR024992-02, and UM1 AI114271. Shilpi Chandra, Gerhard Wingender, Jason A. Greenbaum, Archana Khurana, Amin M. Gholami, Anusha P. Ganesan, Michael Rosenbach, Katy Jaffee, James E. Gern, Robert Wood, George O’Connor, Megan Sandel, Meyer Kattan, Leonard Bacharier, Alkis Togias, Anthony A. Horner, and Mitchell Kronenberg. “Development of asthma in inner-city children: Possible roles of MAIT cells and variation in the home environment.“ Journal of Immunology, 2018.